Join a truffle hunt in fall or an herb walk in spring. Discover Brunello and meet its makers at intimate tastings and tours of vineyards, with a driver. Join a local chef to learn local dishes, help prepare a multiple course meal, and then share it. 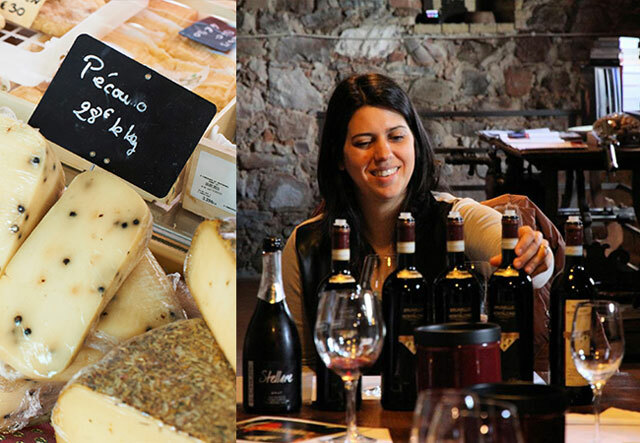 Savor a culinary tasting tour of Avignon, sampling the region's specialties in various venues. Join a market tour and cooking class, cooking seasonal ingredients and savoring your creations. Enjoy a day of vineyard tours and private tastings at multiple local wineries, with a driver. All Wine and Food Untours include an apartment, rental car, and staff support as standard on all Untours. If you have a group of 4 or more travelers, we can book these activities as an add-on to your Untour for other dates. Contact us for prices and availability!